Master the Cupcake at Butterlane’s Cupcake Classes! Almost two weeks ago before the anniversary dinner I went to Butter Lane Cupcakes in the East Village. Over the summer I won blogger of the week where I was able to get a special deal to try their cupcakes which were delicious and nothing like any cupcake I’ve had (and I’ve had a lot). They are about 2 hours long, get there early because they start on time! My first batch of finished cupcakes! The classes are $60 a person but worth it because you learn so much. Find out more information about the classes, here. Look at the class schedule, here. 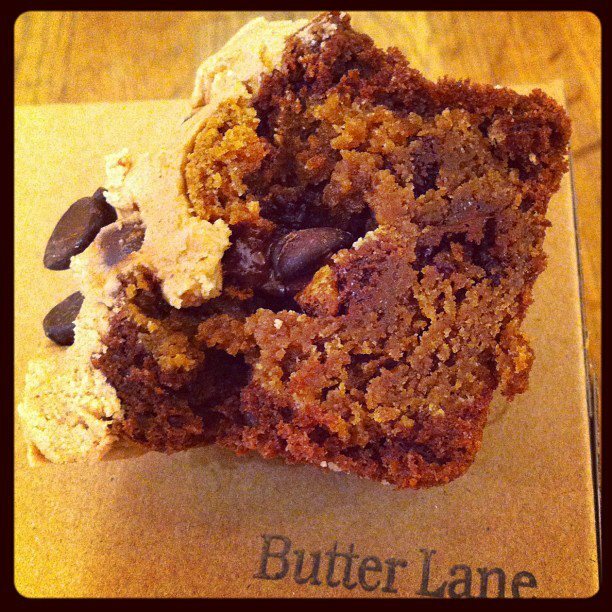 So next time you’re in the East Village make sure you stop by Butter Lane Cupcakes (123 E. 7th St), your stomach and sweet tooth will thank you! This entry was posted in classes, cupcakes, East Village, New York, New York City, nyc, Sara Monica, Small Chick Big Deals, yummy and tagged butterlane cupcakes, cupcake classes, cupcakes, east village, nyc, scbd, small chick big deals, yummy by smallchickbigdeals. Bookmark the permalink.